We love our frog designs and this one combines Lpais and sterling silver with lotus blossom shoulders. 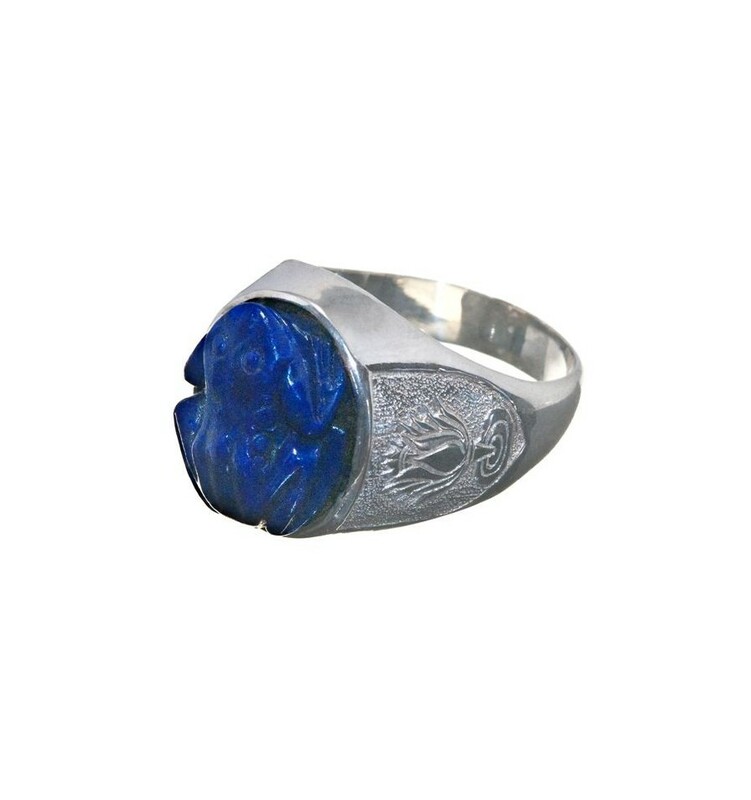 A marvelous frog has been hand sculpted from an oval of genuine, high quality lapis lazuli with the addition of lotus flower shoulder embellishments on the solid sterling silver chassis. 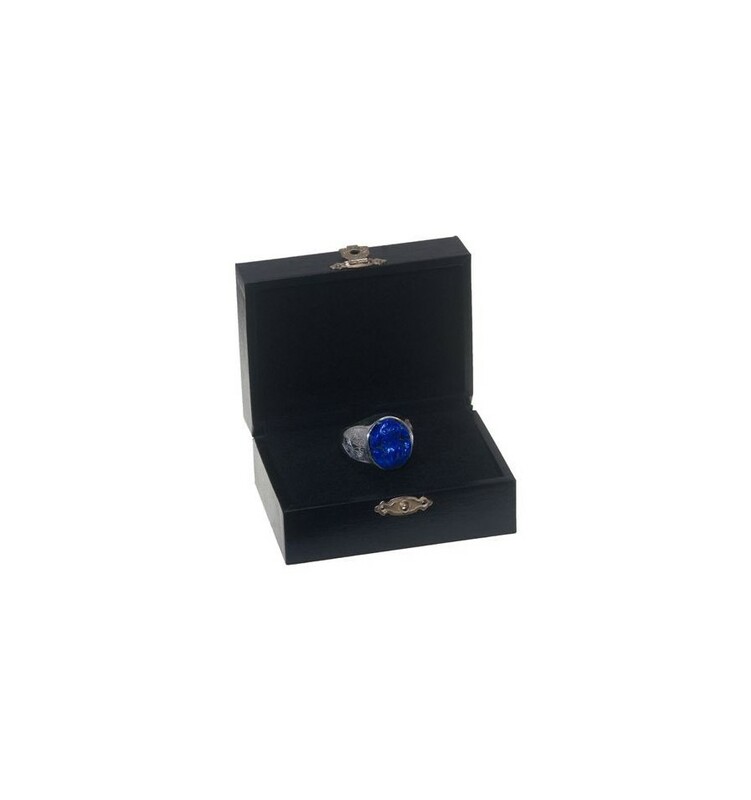 An unusual and impressive ring that will stand out and be a conversatio piece whenever you wear it. 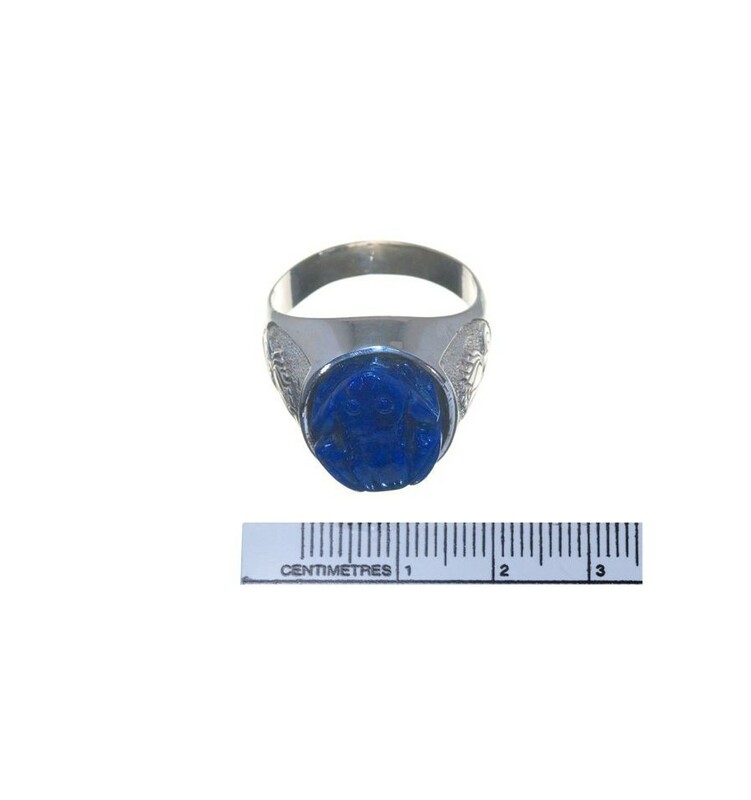 This is one of our medium sized Regnas rings at 18 x 16 mm and we feel it is suitable for both men and women to wear. 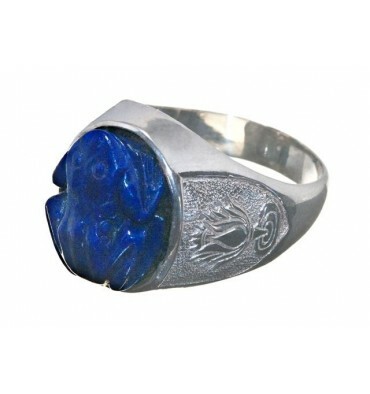 That's why this unique hand carved frog ring is so affordable.